Moist air rises from the Amazon river basin, colliding with Saharan dust blown over the Atlantic. Temperatures rise in the ocean around the Azores. Winds circle faster and faster, whipping the sea into a frenzy of cresting swells. Chunks of ice the size of buildings calve off Greenland. Aroused by storms in the Gulf of California, dust storms stomp across the Sonoran desert, tumbling birds through the sky. The Earth's systems dance ceaselessly. 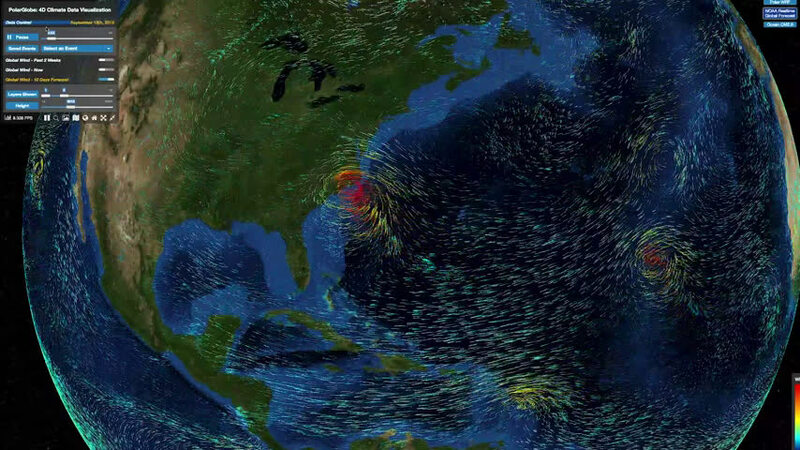 Wenwen Li has captured the waltz in a new tool for climate visualization. PolarGlobe is a large-scale, web-based four-dimensional visualization tool allowing climate data access to anyone with an internet connection. It's capable of illustrating changes in the atmosphere vividly in real time. Designed specifically for polar scientists seeking to understand the ice caps, the tool is also useful for high school science teachers and weather fanatics. "It's not just for research. Every day, weather watchers can see what's going on," said Li, an assistant professor in the School of Geographical Sciences and Urban Planning at Arizona State University. "We would love to inspire the next generation into science." Climate data in itself is simply massive. There's data pouring in every day from weather stations, remote sensors, balloons, planes and observers. There's air temperature, air pressure, ocean temperatures and wind data. Both atmosphere and ocean interact with terrain, creating more data. "Climate data is multidimensional," Li said. "It's not just covering the earth's surface. It also extends to space ... 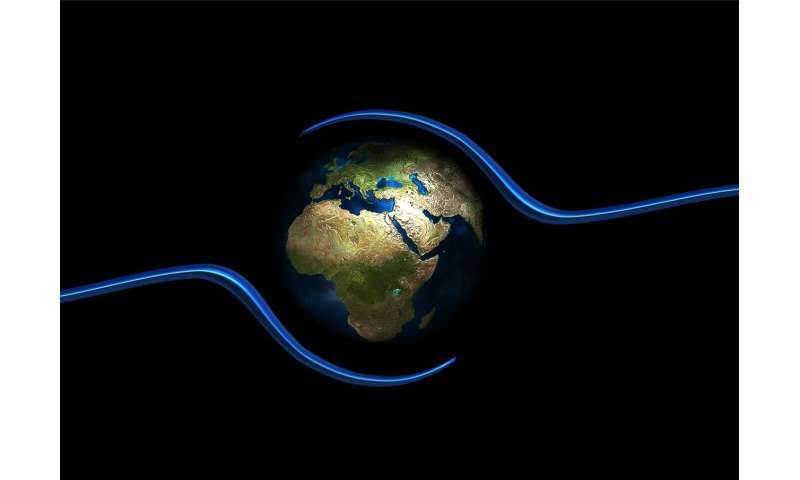 There is a huge amount of data about the earth being generated every moment. Traditionally when climate scientists analyze the data, they have to have dedicated software installed on their own computer and they have to do a layer base analysis." Analysis with partial data doesn't give the full scope of what is a very big picture. "If we just visualize a single piece of data, over a single dimension, in software, the amount of information we can see is very limited," Li said. "The entire volume of data can be visualized on this virtual globe-based scientific visualization tool. The benefit of this is that it can be seen in action." Li calls the technology m-cubed: "Multi-dimensional, multi-faceted, multi-variate." Historical data in the tool goes back to 2010. Current data is updated every six hours. The tool uses artificial intelligence and machine learning so it continues to learn on its own as new data is generated. "We gather this data in real time, process it, and digest it into our visualization system and host it by providing a very user-friendly interface which is web-based, so anyone with a browser can get onto the tool and analyze a lot of the atmospheric phenomenon," Li said. It's a huge amount of data: 350 terabytes—the equivalent of 70 years of letters delivered by the U.S. Postal Service. A geographic information scientist, Li was trained in both computer science and earth systems science. "I'm very interested in bridging the two fields," she said. The team in Li's Cyber Infrastructure and Computational Intelligence Lab was led by Sizhe Wang, who is earning a master's degree in geographic science.